Eagle Audit Advantage Inc. | Fraud threats are everywhere. Solutions are uncertain—until now…Eagle Audit Advantage provides fraud examination and investigation services to condominium corporations and businesses. Every condominium is at risk for fraud, theft & waste. Prevent losses and deter fraud with Eagle Audit Advantage and our specialized audit services. 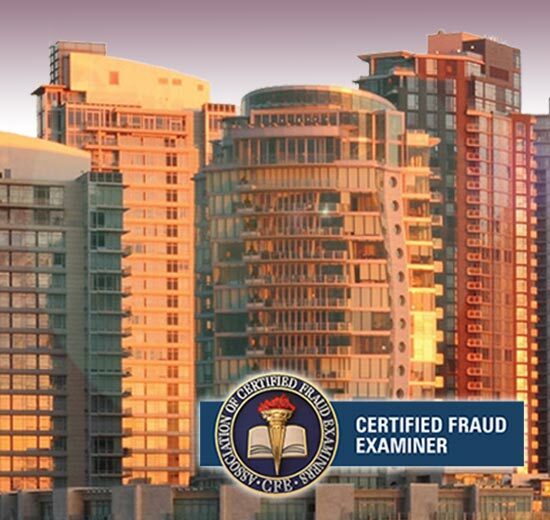 We Specialize In Fraud Risk Audits, Fraud Examinations, and Operations Performance Audits for Condominiums. We deter fraud. We stop waste. We inspect and verify all aspects of your property manager's work performance and your management company's back-office operations. Then we report our findings directly to your board and to management company supervisors. Discover Eagle Audit's unique collaborative approach that helps Boards of Directors to achieve true management excellence in their condominium corporations. Eagle Audit Advantage provides fraud examination and investigation services to condominium corporations and businesses. Have you noticed the headlines in recent months? Fraud is on the rise—employees stealing from their employers, corporate managers receiving kickbacks from contractors, property management companies defrauding their client condominiums, and hackers stealing intellectual property and financial assets from vulnerable electronic systems. It’s bad out there, and getting much worse. Our number-one benefit to clients: We turn fraud examination into business advantage. With the benefit of the Eagle Audit Advantage team at your side, you will dramatically reduce fraud risks in your business, identify weak internal controls, and most importantly, by active deterrence send the signal that your business refuses to become a victim of fraud schemes. At Eagle Audit Advantage, we turn your fraud examination into powerful business advantage. Condominium performance audits and fraud examinations in condominium corporations are a special focus of our professional practice. Eagle Audit Advantage also specialize in the specialized field of fraud examinations and operations performance audits for condominium corporations. Due to various business factors unique to their circumstance, condominium boards and owners have higher risk of being defrauded by manager fraud schemes, contractor kickbacks, rigged tenders and sub-standard delivery of services by property management companies. We help boards of directors turn their troubled, distressed or victimized condominium corporations into well-functioning and high-performing communities that have strong operational efficiencies, high management accountability and low risk of fraud.